Here it is: the final stretch before my third year of college. I’m sitting on my bedroom floor, surrounded by all the stuff I’m bringing to school; I’m taking a break from my furious packing to reflect on the sheer number of clothes I own, yet never seem to wear. In fact, I’m missing a good number of the clothes I wanted to bring to school, which makes sense, as they’re the only clothes I took or wore anywhere this summer. I spent most of my summer packing and unpacking. That’s what happens when you accidentally end up splitting your time between two internships in two states and then your mom decides to whisk your family away to Taiwan for a month. I can’t tell you how many stupid pairs of earbuds I’ve lost–not because I can’t remember, but because it’s horribly embarrassing how incapable I am of keeping track of those things. They could be in my house, underneath the sprawl of things waiting to be U-Hauled away. They could be in the room I’ve been crashing in down in New Brunswick, or in my boss’s office up in New York City. They could be in someone’s car, or on a bus, or on the floor of a restaurant somewhere. They could literally be across the globe right now. I’ve come to see it as a metaphor for my life, whether appropriate or not. I’m everywhere at once, but I’m never in a place long enough to make an impact. Are you a dancer? I’d love to go to a workshop with you! And I love writing; sign me up to be a blogger! Why don’t you take me to ice hockey practice while you’re at it, and yes, of course I’ll take pottery with you! My city internship involved stocks; my lab in New Brunswick focused on plant biology. If you look at the classes I’ve taken up till now, you’ll see that I don’t specialize in anything because I have a healthy interest in everything. My ‘why not’ mentality and hunger to try whatever comes my way has afforded me some of the best friends, decisions, and experiences of my life, but it’s time to settle down, if only for the sake of my sanity. Having two years left may sound like a long time, but the first half of college has already come and gone and, oops, now I’ve got two majors that need finishing. So here we are, August, in the middle of this mess I’ve made. As much as I hate sounding like a bad Chinese fortune cookie, focus is necessary for progress to be made, and I refuse to be stagnant. I don’t regret anything I’ve done (except maybe losing a billion pairs of earbuds), but I know I have to ask myself what I want, set a goal, and work towards it. It’s a daunting prospect, having to think about something beyond deciding what to eat for lunch or choosing tomorrow’s outfit, especially when that’s something I already struggle with. But I’m ready, I’m willing, and I’m definitely able. P.S. if anyone’s seen a pair of red-and-black HTC earbuds, let me know. Summer Adventure Series: Books, books, and books! Well, hello there! Summer sure seemed to fly by. With college starting in less than two weeks, this will sadly be the last, “Summer Adventure Series.” Anyways, this summer I am more than happy that I got a chance to fall in love with books all over again. Regardless of what other activities I got a chance to do this summer, reading was my favorite. I am a major bookworm. I am a sucker for historical mysteries. Nonetheless, here are some books I would definitely recommend to everyone one to read. Set in England, this is a fictional historical mystery that is definitely a page turner. It is about twins and the enigmatic interactions they have with each other. The main character’s name is Margaret Lea. She is a bibliophile, often spending time in her father’s quaint bookstore. Margaret is very allured by books of dead authors. She finds comfort and pleasure in uncovering the lives and emotions of authors through the words they have left behind. Margaret’s life turns around when she discovers a dark family secret that her parents have been keeping from her for years. To add on to the turn of events, Margaret is forthwith requested to meet with a high profile author named Vida Winter. Vida Winter is known for great storytelling, especially when it comes to interviewers asking her about her personal life; no one knows anything about Ms. Winter except that she is a coveted author. In order to prepare to meet with Winter, Margaret reads Winter’s novels. 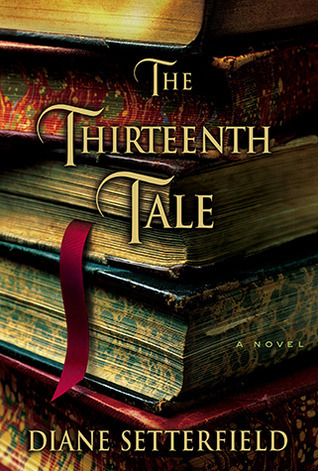 One of them titled, “The Thirteen Tales” is rather intriguing because only twelve tales are in the book; the thirteenth tale seems to be missing. With great anticipation of uncovering the missing tale and learning about Winter’s personal tale itself, Margaret agrees to meet the author. 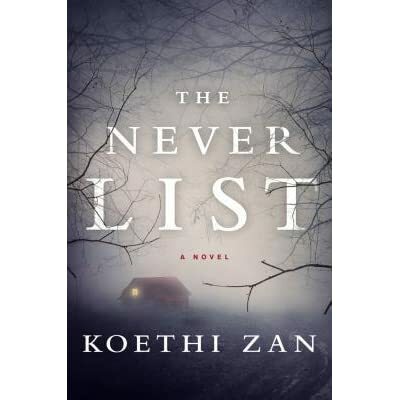 If you love thrillers, then this is a perfect book for you. This novel is about two best friends, Jennifer and Sarah. After surviving a traumatic car crash, these two swear to do their best in avoiding the dangers of the world. They amass statistics of vehicle crashes, kidnappings, natural disasters, and every other possible misfortunes fathomable. Afterwards, Jennifer and Sarah create a, “Never List,” which lists the precarious situations that these two must, and I mean must, avoid in order not to fall prey to the cruelty in the world. Ironically, the most careful ones are often the ones who get stuck in the hands of danger. As you may have guessed, Jennifer and Sarah end up in pretty much that situation. It is their first year in college, and after being coaxed by Sarah, Jennifer agrees to attend a college party. What happens that night changes their lives forever. In fact, because of the events that occur that night, Sarah has to change her entire identity. This is a beautiful love story that is literally a timeless classic. It is about a girl named Clare who meets the love of her life, Henry, at only age six! What’s even more bizarre is that Henry is a time traveler. He has no control over this phenomenon. He time-travels numerous times to Clare’s childhood, which is why Clare has practically known Henry her whole life. Their love is put to the test of time many times. After Clare and Henry marry, things become even more complex. This story truly elucidates the power of love. It is a love story like no other. What is it like to love someone so dearly, and then wait for them to return from their intermittent disappearances? Clare and Henry fight time with their love. Unfortunately, sometimes love is not enough. I hope you enjoy reading these books! Happy reading! 🙂 Happy Summer! There’s a certain anxiety to speaking at a Moth StorySlam. It’s similar to presenting in class about a project, but it’s more personal. Instead of speaking about a court case or an experiment or a book, you’re trying to convey the hilarious way your grandmother let out her frustration with your grandfather’s rehabilitation center, the feeling of isolation you felt because of a deformity, or the increasing panic you felt while lost in a foreign country. You’re attempting to share a piece of your life all in under five minutes. This is why, in the two days preceding the Summer Session StorySlam held on July 21, two free two-hour workshops were offered to prepare students for this endeavor. The Moth, which ran both the workshops and the StorySlam, is a nonprofit organization that hosts events all over the country where anyone can come in and tell a true story from his or her life. They record the stories and later play them on their radio show and podcast. Amid the myriad of free activities available to Rutgers students staying on campus over the summer, this stood out to me as an opportunity to meet and share stories with people who aren’t in my lab. On the first day of the workshop, the teachers gave us a demonstration of the Moth storytelling format. One of the teachers, Peter, a proud Rutgers dropout, spoke about the night on Easton he asked out his future wife on their first date. They then had us all discussing ideas for what we thought our stories would be. Some brave souls even got up and presented their first ideas: teacher’s first day working in a dangerous neighborhood, an immigrant’s struggle to get a work permit, and a stay at-home mother’s realization that she could be her true self without becoming her irresponsible, alcoholic mother. The next day, we all worked in small groups, each of us telling our stories and critiquing one another. There were four of us in the group I was in–all girls–yet each of our stories was very different. One girl, who is from Greece and is working on a graduate degree in education, spoke about her struggles with TMJ. Another, who is currently working towards a degree in the performing arts, talked about her controlling father and her semester-long withdrawal from Rutgers. The third, after at first attempting to summarize her descent into heroin addiction and subsequent recovery in five minutes and not being able to do it justice, described the first time she hopped onto a moving freight train. When it was my turn, I managed to stumble through the story about a time I was humiliated at a dance performance. All of our stories needed varying degrees of polishing, but all were interesting and, honestly, made me wish we had more than five minutes to hear everyone’s stories. Only two from our group, including myself, spoke the next night, but I’m still happy to have been able to hear those other stories as well. The night of the StorySlam, The Moth dressed up the auditorium in the Rutgers Student Center for the show. A camera was set to record the entire thing, and almost every seat was filled with Rutgers students and faculty. Those who wished to tell their stories signed a release form and put it in a bag to be pulled out at random. 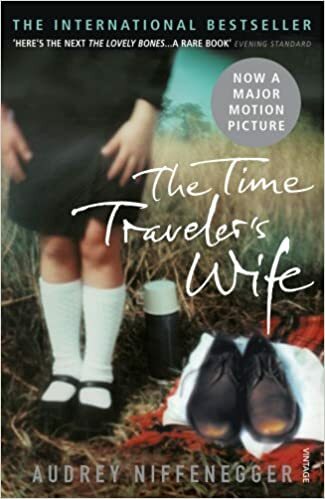 Only ten stories were told, but the variety amongst them was staggering: some had you laughing the entire time while others made you want to cry. Some were farcically mundane while others seemed fantastical in how far of they were from my own experiences. There was a story about getting married and a story about escaping an abusive husband. There was one about nearly getting deported while trying to get a driver’s license, and another about freezing on a see-through bridge above the Grand Canyon. They were all so engrossing and the audience was so accepting that I forgot to be nervous when it was my turn to go. Everyone who spoke did an amazing job and the audience was very accepting of what everyone had to say. If you truly want to see just a sample of the variety of students, from all walks of life that Rutgers has to offer, keep an eye on the Moth’s site. Maybe you’ll see some of their stories there soon. It is truly unbelievable how fast time has flown by. Before leaving for Australia, I was playing this game called Cow Evolution where the aim is to collect different cows and evolve them into other ones. You earn coins and gems as you continue to play. Eventually, you reach a point where you can no longer evolve the cows. When that happens, you have the opportunity to restart the game and try to unlock the different cows again. This time, you get to keep the coins and gems earned in the previous attempt. During the first few weeks in Brisbane, Australia at The University of Queensland, I felt like a freshman again. I attended a new student orientation where I didn’t know anyone, was placed in housing with strangers, and was doe-eyed and excited to begin the semester in a foreign place. But, unlike freshman year, I was starting this semester with all the skills and knowledge that I gained from the previous years at university, similar to the gems and coins that carry over in new rounds in Cow Evolution. The St. Lucia Campus, where ibis and bush turkeys roam abundantly, is gorgeous, especially the Great Court, which is similar to a bigger version of Vorhees Mall on College Ave. Enclosed by grand, sandstone buildings, it is a great place to rest in between classes. The pockets of construction on campus made me feel like I was still at Rutgers–just a little bit. Every Wednesday, market stalls would pop up on campus and students could peruse through booths of handmade jewelry, clothes, and flowers. There was even an eyebrow threading booth! A quick and easy lunch option was a sausage sizzle, which different clubs and organizations would have daily. This wonderfully simple sausage placed diagonally on a slice of white toast with optional grilled onions never failed to satiate my hunger. Because UQ is a foreign university, I had to adjust to the different grading system and teaching methods. Most lectures, regardless of the subject, are recorded so students aren’t required to go to class. Recitations, or tutorials as they are called there, often aren’t required either. Whether attendance factors into your overall grade or not depends on the class. In the first lectures of the semester, the teachers would pay respect to the aboriginal ancestors and to the land. Australian Aboriginals have a strong connection to the land and have this concept of turning a space–empty and foreign–into a place, which is familiar and full of meaning. Inhabiting an area and making memories in the environment is how to give it meaning and turn it into a place. Over the course of a semester, I’ve turned UQ, Brisbane, and even Australia, into a place, a home. It’s also what has happened at Rutgers: Australia was wonderful, but there is no place like home. And at the end of my six months, I was ready to come back to Jersey. This experience will forever hold great importance in my life. Australia is rich in cultures and I have greatly enjoyed learning about them. The knowledge I have gained at UQ will undoubtedly stay with me into adulthood. The conversations I have had with other students at UQ and with travelers I have met on adventures have enriched my life and challenged how I view the world. I have come away from these five months with a different mindset, a strengthened sense of self, and a broader and more informed viewpoint on certain events occurring in the world. I feel different, a good different, and I know I have grown so much during this past semester. I encourage you, if possible, to take that leap out of your comfort zone and study abroad. Or if that’s not possible, spend some time and live somewhere new for a little bit. It’s an experience you won’t regret. As I said many times so far, summer is an amazing time to try new things. Abiding by this adage, I decided to dip my feet into an area that I previously had actually disliked: computer science. Ever since I was in elementary school, I just thought what software engineers do was downright boring. You sit in front of a screen for hours, straining your eyes, and typing away till the sun sets. I used to think, “Why would anyone find enjoyment or wish to do this dull job?” This was, of course, before I tried it myself. I had no intention of continuing to do it over the whole summer because I had a presumption that I would find it boring. I went on codecademy.com, and started my first lesson on how to make my own webpage. Let me just tell you: as someone who thoroughly disliked computers, I found coding quite exhilarating. It is riveting to see a hieroglyphic language transform into words, pictures, and endless creations. To think that creators of well-known webpages like Facebook and Pinterest used this very code to craft their websites from scratch is incredible. For those of you who are curious to know what coding is all about, I highly suggest visiting codecademy.com because the lessons are interactive with instant feedback, projects, and quizzes. 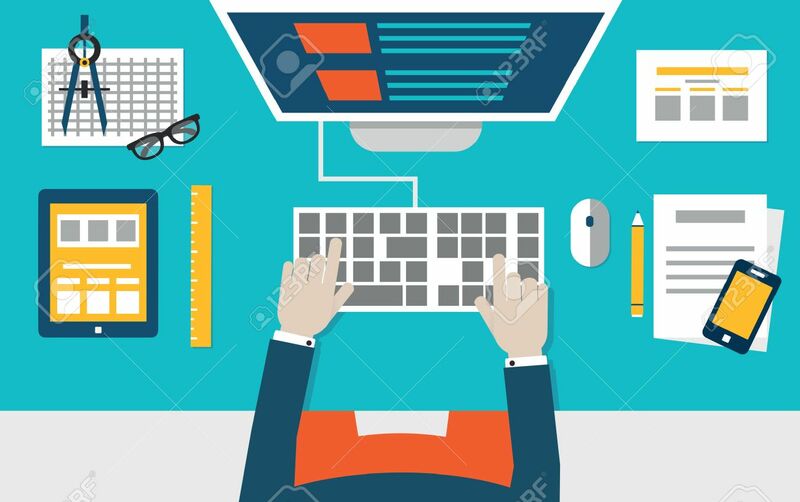 Within the first lesson, I guarantee you that you will be well off on your path to becoming a potential web creator! Currently, I am working on a webpage that gives you a list of the most majestic and marvelous libraries of the world. If you have any suggestions on what I should add or how I should design the site, feel free to comment below! To get started on coding right now, login to codecademy, and to practice the lessons you learn, download Notepad ++ and start your own code for a webpage! Have fun!